December 4, 2004 The Veyron´s first crash The No.12 Veyron is assembled in Molsheim, ready for the Crash-test which will take place in Berlin. No No.13 car will be made (they will pass on directly to No. 14), and the No. 21 will be skipped also. November 20, 2004 News on the Bugati Veyron The unofficial News is that Michael Schumacher ordered himself a Bugatti Veyron, he is probably the one best capable of actually using a major part of the car´s potential! Mr. Schumacher is also known to possess a Bugatti EB110 (The yellow one, I´m not sure if he still has it), so there is a clear interest from him in Bugatti. 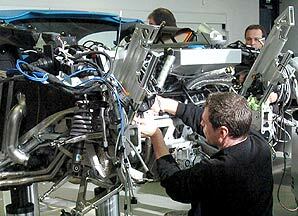 The official news, spread by VW Bugatti in official press releases, is that 11 prototypes are currently being tested. 50.000km tests, road holding tests on e.g. the Nurburgring and other endurance tests will be executed with these cars. Also brake tests (from 250 to 80 km/h, than accelerate back to 250, and this 5 times) are envisaged. 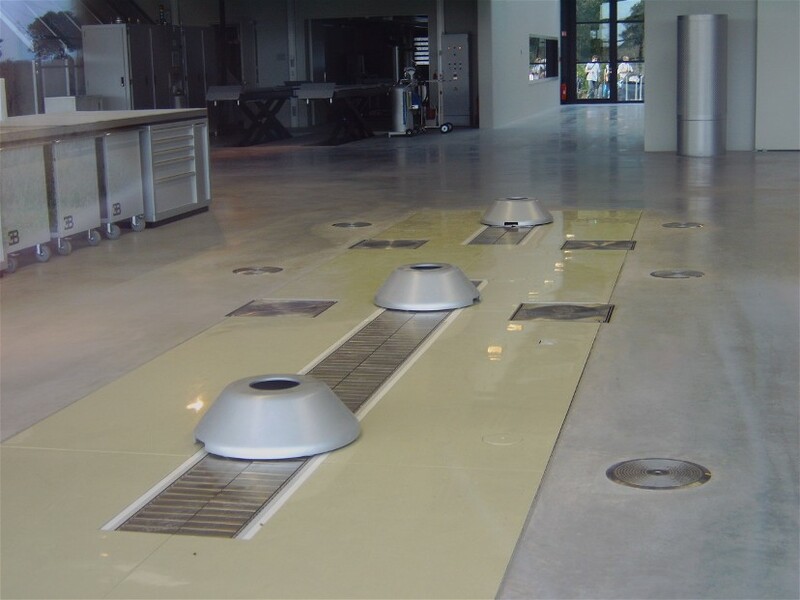 Various prototypes have been assembled in Molsheim, see the pictures. The Veyron will be available at the second semester of 2005, with a pre-series being delivered in the summer of 2005. Also the news about the 7-speed double-clutch gearbox was respread, though it´s the same as stated earlier. Result of these press releases is a lot of renewed attention in various media, even down to regular newspapers. 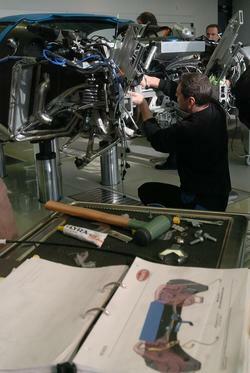 The Veyron´s engine, and the inside of the Atelier. These photo´s can be clicked on for an enlargement! October 21, 2004 Federal Civil Lawsuit against VW, et al. In a landmark federal case (04-80928CIV-COHN), John F. Rodrigues, President & CEO of Bugatti Marine and Bugatti Yachts sues VOLKSWAGEN A.G., 3 of it´s subsidiaries, their respective presidents and directors, a law firm and others, for conspiracy, trademark infringement, unfair competition, anti-Trust, obstruction of justice and violation of international law, asking 780 million dollars in damages and holding the United States patent and trademark office accountable for traffic of influence and fraudulent trademark registrations. September 20, 2004 Alive after 53 years hybernation! This year´s Bugatti Festival, the weekend of 10 - 12 September in Molsheim, saw a true surprise! This T40 (40816) showed up in the state that it was stored 53 years ago. 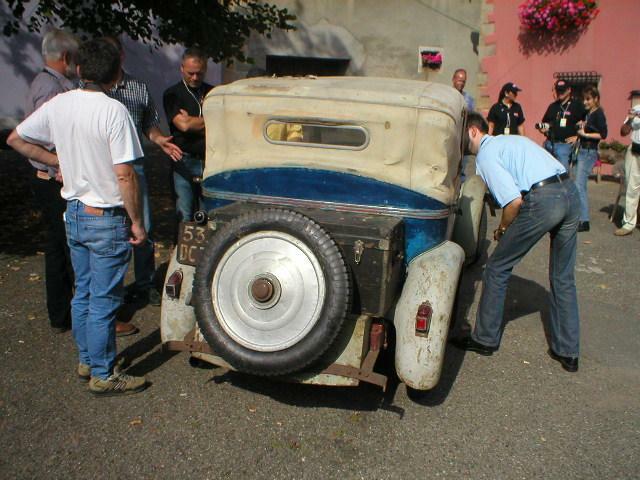 The car, with a Carrosserie Berluteau Cabriolet body, was discoverd in the basement of a pharmacist in France, and was now presented by Alain Margueritte. The beauty of it is, that the car was left as found, so that it was to easy to see how the car had undergone some "improvements", before it came to a final stand still in the early 50´s. Of course the mechanics were all brought in good order, and the little car performed well during the rally, better than some other cars that were only there for the presentation on the town square in Molsheim, but were not driven during the rally on the saturday, that led to Mulhouse, where the Schlumpf collection was visited. 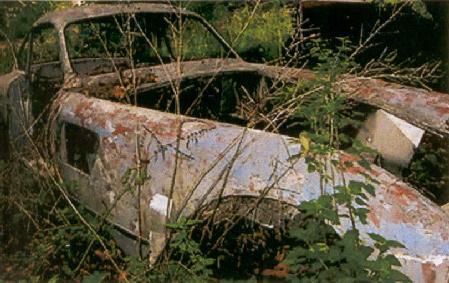 We can only hope that the car will be left as it is now, and that it will not be brought in "Pebble Beach" condition! We can now enjoy seeing the different layers of paint, with the original one shining through, the modifications to the instruments, and lights, the very non-original upholstery etc. Thanks to Alain, for presenting this magnificent car! More pictures of the Festival will be presented soon. However, in this case 4 collectors wanted this very special car, leading to this high price. The car finally went to Europe. Picture sent by Haje van der Leer, taken from a cheap American booklet about body styles in the 20´s and 30´s. The French magazine "L'Auto-Journal" published an interview with Thomas Bscher, the Bugatti Chief on August 19. In this a lot of talk about the same issues (delays, high weight of the car, car filled with radiators etc.) as in the former interview (with Auto, Motor und Sport. However, Bscher now says some additonal things. For example that, due to the fact that engines can have about 5% spread in power, the engines will be aimed at having 1060HP. Bscher also states that it was never said that the Bugatti Clients would be able to drive their Veyron´s at 406km/h, just that the car would be able to attain that speed. The current aim is that the cars will be able to reach 400. At the moment the prototypes are doing 365 - 370 km/h on the test circuit, without difficulty. The original price will remain 1 million, there is no point in changing this because of the later date (we´re talking more than 18 months here) introduction. With the Veyron, the usual rules of economics have to be forgotten. It is not so, that the W16 engine will not be used in other marques. Without the turbo´s. it still develops 600 HP, and it would be possible to fit this in for example a Bentley. Bscher thinks Bugatti will be able to sell between 65 (like the McLaren F1) and 349 (Ferrari Enzo) units. His estimate is 150 cars. The most interesting part is about the new baby Bugatti though. 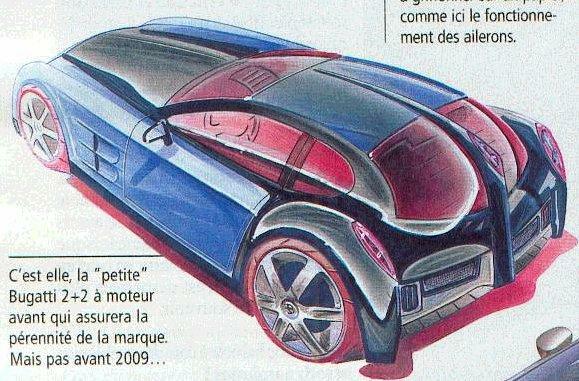 the French magazine proposes it´s name, the Wimille, following the lines of the French Bugatti Racing drivers. It will be a front-engined 2+2, of about 100.000 Euro (so one-tenth of a Veyron), and Bscher intends to produce between 2000 and 3000 per year and this will be done in Molsheim! He thinks that it may very well be based on mechanical components from the VW group. (would this be a Phaeton - platform? Ed.) The reason for this choice of type of car is the competition within the VW group. This way, it does not come close to the Lamborghini Gallardo, nor to the Bentley Continental GT. However, we will have to wait until 2009 before this new, small Bugatti will arrive. Shown are some ideas about what the "Bugatti Wimille" may look like. Changing hands for just the second time in 1954, the Bugatti, known as 'Térèse', was owned by the vendor for 50 years, having been originally bought by that doyen of Bugatti circles Colonel G.M. Giles in 1935 in chassis-form only. With bodywork designed by his brother Eric, and constructed by Bertelli of Feltham (yes, the Aston Martin Bertelli), the car was at once a powerful and elegant 'Grand Routier' of the 1930s. This is what this site tries to do: Teach the young how to appreciate the beauty and technology of Bugatti! By the way: the small one in the picture is me! (about 28 years ago, in Le Bec Hellouin car-museum in France). And (before you are going to ask me any questions) my father is no Bugattiste or the like. Touristic tours, on the saturday on the 1924 circuit. A 1939 T57C Gangloff Cabriolet will be offered at this Bonhams auction, athe the Quail Lodge Auction, Carmel Valley, Californa. The annual gathering in Molsheim, organised by the Enthousiastes Bugatti Alsace. The weekend of September 10th-12th the Radnor Hunt Concours d' Elegance is honoring Bugatti. Our event is in It's eighth year and is considered one of the best events of it's kind on the East Coast. Radnor Hunt is located about 20 miles west of Philadelphia in the rolling hills of Chester County horse country. According to the Dutch magazine Carros, the top speed of the Veyron will be limited to 350 km/h, though Bugatti denied this for a long time. Reason for it is, that Bugatti could not find a good solution to the stability problems at high speed. Limiting the speed is just one of many changes that were decided by Bugatti-Chief Thomas Bscher. Despite the limited speed, Bugatti still wants to have a go at the speed-record for production cars, by bringing a version that will be capable of reaching the promised 406 km/h. 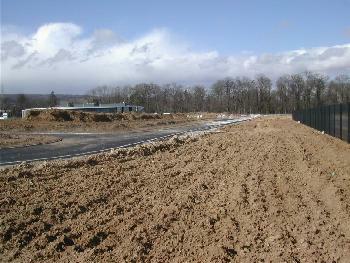 A year ago Bugatti signed a contract with the famoust German horse races area Iffezheim (Baden Baden). It was announced as a long time partnership. This year they pulled back and VW is now the sponsor or has to be the sponsor because of the signed contract. The people from Iffezheim are not very happy as VW is not that glamorous as Bugatti. The mystery car presented on May 2 was reported with pictures in Bugantics no.28 vol. 1 Spring 1965. It was chassis 57418, rebuilt and rebodied by Monsieur Petit of Montpellier, over a period of 10 years. Chassis originally had 4-door coach by Graber. Chassis shortened to 2.66m. Lockheed brakes and Koni shockers were fitted. I have read about the car of M. Petit and would just add that 57418 was never bodied by Graber. As he was the most famous bodymaker of Switzerland, people are prone to put Graber in relation with any body made in Switzerland. May be it's the case? I should know more (picture?) about 57418 to say more but it was a swiss car imported 31.7.1936 and ran in Geneva area. 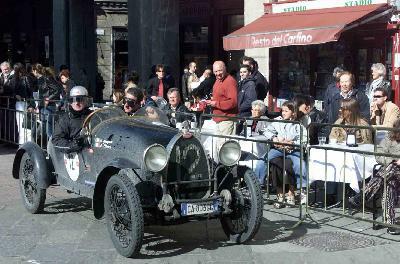 Carlos Sielecki, the 2003 MM champion, came fourth overall at the wheel of a Bugatti T 23 Brescia '23 in this years Mille Miglia, held from May 6 - May 9. Winner this year was for the eighth time, Giuliano Cané, partnered by his wife Lucia Galliani. The Bolognese couple scored 14.580 after 34 time trials driving their BMW 328 MM Coupé 1939. Of the 375 Contestants, there were 22 Bugattis. See the complete list of (Bugatti) results. The 2004 edition of the Monaco historc GP was held on 15-16 May. In Race A (pre 1947), John Ure won in his 1936 ERA. The Classes in which the Bugattis were competing, class 3 and 2, Bugattis were all dominant. In Class 3 Michael Gans in his T35B won before Dutchman Bart Rosman on T35C, while class 2 was won by Marcel Sontrop in his T37. See the complete list of race A results. 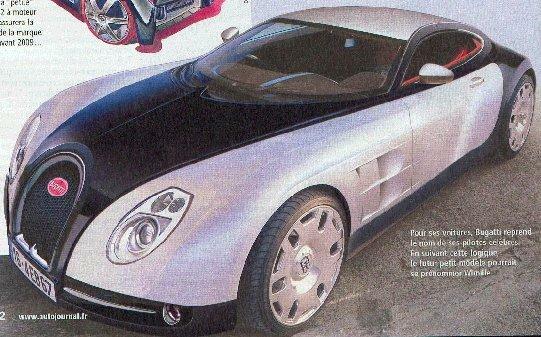 May 2, 2004Future plans for Bugatti! Veyron at 2000kg! The German magazine Auto, Motor und Sport, featured an interview with Bugatti Boss, Thomas Bscher, on April 14. I will list most statements from the interview here. We do not have any remaining problems with the Veyron, there are some minor things however: The front of the car must be reworked, to improve the crash-structure. The Veyron passes the Crashtest, but with a carbon-car, one can offer additional safety, which is impossible to do in a steel car. As Bscher & Co. we would have offered the car fall 2004, the stringent quality of VW is the reason for the extra delay. The cost of the Bugatti project has not been a point of discussion within VW. We have invested so much, now we will finish the car. The delays have been caused partly because the project was not done within the regular VW-system, effect of which was that many problems did not show up before the testing. The main challenge came from the design of the car being made before the technics of the car (which were later changed, JJH). The shape of the car itself is not good for downforce, in fact it gives a considerable amount of lift. Two hydraulically moveable rear spoilers give a downforce of almost 500kg. Top speed with these spoilers and downforce is only 370 kmh, because they increase drag. If a client wants to go over 400, we will have to reduce drag, and therefore downforce. The client will only be allowed to drive in certain circumstances with reduced downforce, for example the tires must be 100% Ok. It is no option to let the driver sign a paper in which he states to accept all responsibility. There is no corner of the car where there is no radiator fitted, heat generation is no problem, the car passes the Tokyo-city-test. The problem with increasing power (I could imagine a version with 1001 kW, not 1001 HP) is the room needed for radiators. I never saw a car with more technic in such a small place. This results in a heavy car though: We are currently at 2000 kg, and hope to get 100 kg off. 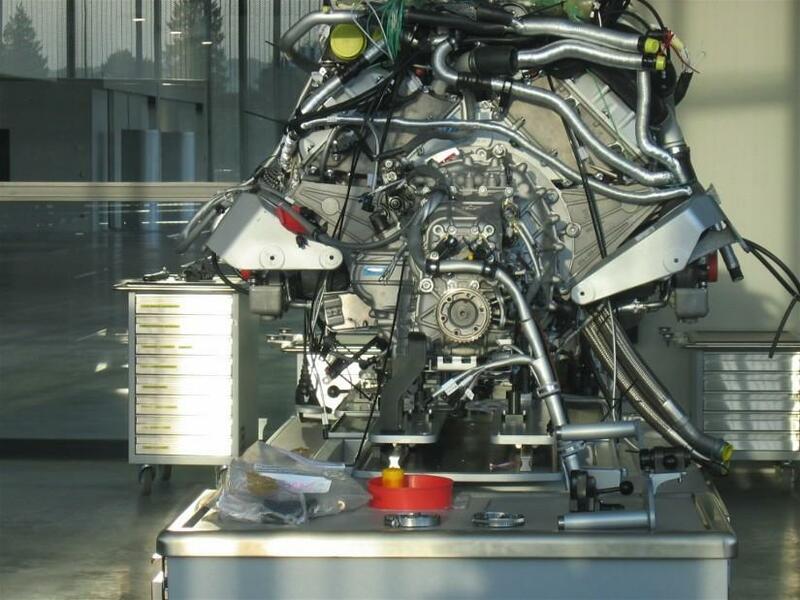 We´re even looking at the engine to reduce weight. The Veyron will not get any prices for fuel consuption, in fact there was no fuel pump powerfull enough! so we had to develop our own. Approx. 2 dozen cars were ordered, with a downpayment of 300.000 Euro. The Veyron is only an investment in the marque, we will make no money with it. This must come from a new model. In Bscher´s vision the new model will be a small sportscar, maybe a 2-door 4-seater, of which 2000 will be made yearly, at a price of approx. 100.000 Euro. This car will be using components from the VW-group, possibly from Bentley even, where a small car will not be competing with the Bentley cars. The new car may be fitted with a VW engine. Development of future cars may be done at different departments of VW, where Bugatti does the project-coordination. Such a strong marque does not need much advertisement, therefore less money will be spent on marketing, we focus on the technical development now. If the new sports car will be on the market bu 2008, we will be making profit by 2009. Additional info: To deliver 1000 HP, the Veyron must burn approx. 5 liters of fuel per minute. 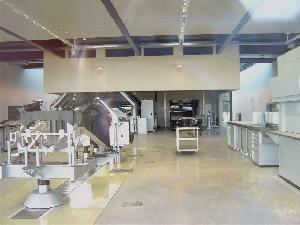 This is 300 liters per hour! Connecting this to a top speed of over 400 (or 370 with downforce), gives a fuel economy of just over 1 km/liter, or approx. 80 liters per 100km. The May issue of Classic & Sportscar shows a mistery shell, which has an alleged Bugatti history. It was recently spotted in France. The present owner bought the body about 12 years ago, and was told that the body was fitted by a Mr. Petite from Montpellier to one of the few post WW2 Bugattis, a T101 which originally had a Gangloff body. 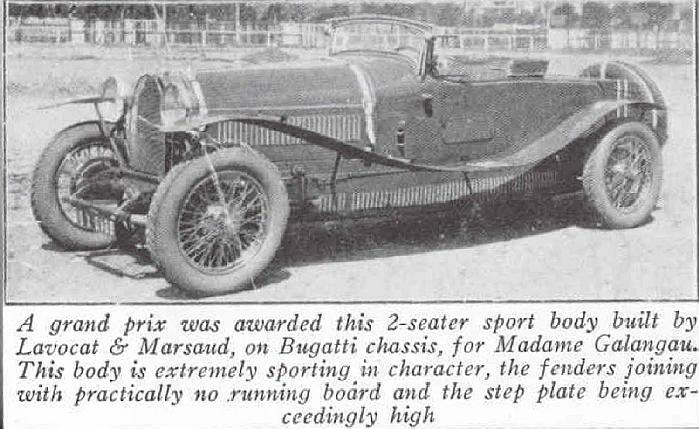 The car was raced in the form as shown (with Bugatti mechanicals), but later the bodywork was removed, and presumably replaced by the original. C&SC contacted Barrie Price, who told them that this body does not fit in with the history as known for the 6 T101´s. This makes the story a bit strange, but it may of course be, that it was a different Bugatti Chassis, or a T57 chassis (partly) changed to T101 specs. Please inform me if you know more about this car. In this auction at the Rockefeller Plaza, 4 Rembrandt and 2 Carlo Bugatti items will be on sale. Bonhams will have their usual 25, June 2004 Friday Auction of classic cars and on display at press day was one advanced entry, the 1935 Bugatti Type 57TT Four Seat Tourer – 'Térèse'. Originally the property of Bugatti collector and connoisseur Col. G M Giles, the car has seen minimal use in recent years and, although running well when last laid up, its meticulous owner (only the second in the car's lifetime) recommends careful recommissioning prior to regular use. It's estimated at £150,000 - £200,000. Also on offer a T52 and a EB110. 80 year commemoration of the last Beach race from 1924. Sprints will be held etc. Now surplus to requirement, I offer a rare chance to bid on a Bugatti Type 54 3 speed gearbox complete with all gears, casing and lid. Numbered, this was produced a number of years ago by one of the worlds leading specialists in the supply of Bugatti components. As the photos show it will need the selector box, rods and forks. ART NOUVEAU Auction with several Carlo Bugatti items on sale, mostly furniture. Preparations for the Coys Europe Legend et Passion auction in Monaco on May 15th are gathering pace. Alongside a substantial consignment of pre and post war sports and touring cars highlights currently include the very important Bugatti Type 57 Competition car of Gaston Decollas. Thanks Christophe Chanterault for this news, and many others on this page! For more details on this demonstration, go on the page devoted to évenement of the site Automobile Historique. Will be held near Dijon. Dr. Peter Williamson of Lyme, NH has generously offered to put his 1935 Pebble Beach winning Bugatti T57SC Atlantic Coupe on display at the Montshire Museum of Science in Norwich, Vt. from June 10-13. Location: Just of exit 13, I-91 in Norwich, Vt (across the Connecticut River from Dartmouth College in Hanover, NH). April 12, 2004A new discovery! While hunting for Easter eggs on Sunday we discovered another lost Bugatti. Surfacing after being in perfect storage conditions in sunny California since 1963, this rare 2 seater roadster is in remarkably original condition having been imported by Dunlap in 1962 with his other 2 Bugattis. Registered in 1963 , hidden , and never seen since! It has a black California plate This is an unusually rare 2 seater roadster with roll up windows, fold down windshield , original glass. It looks like a T40A, and may have a T40A block (as it has the extra plug holes I'm not sure about this yet). It has a California black license plate and the French plate was 384 A 74 circa 1950's. 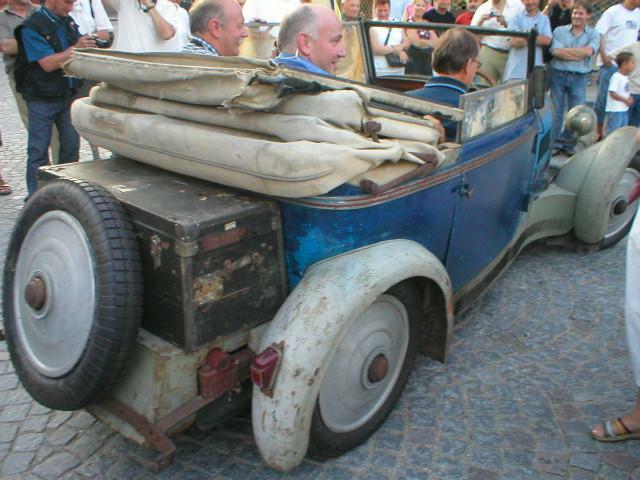 The coachwork is not known, can someone assist on the history ? Aravis SA is the supplier of the luggage set for the Veyron which is included in the price.Such a set was exposed to the full satisfaction of Bugatti with the car on the Frankfurt Motor Show. Bugatti cancelled Aravis already 4 times the delivery contract. Aravis SA did go to court of Luxemburg and got a big victory against Bugatti International. Andrea Capra, the owner of Aravis, was working with success already for the Artioli group. His small company invested over Euro 1,1 Mio in the project. He is very sad about the continuous changes of the production start and the promises done and not held. Aravis SA did not get any compensation up to now. He is very disappointed how suppliers are treated by VW. Bugatti International was also heavily violating the exclusive contract by buying behind the shoulders of Aravis SA. A spectacular raid in Como against Bugatti was authorised by the President of the court and brought the secret deliveries on the daylight. They even sent him a women spy to investigate out his company and him self. All this unbelievable things are not fitting to the stile of Ettore Bugatti. The reasons behind: big business, probably bigger market players and the production problems. The boss of Bugatti International is a former socialist minister of the Saarland, Reinhold Kopp. A source from within VW-Bugatti states that he knows nothing about the project possibly being sold or stopped. 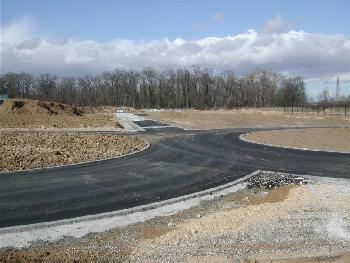 The further investments also indicate that the project will not be stopped, or at least not in the near future. March 10, 2004Bugatti Veyron: The END?? From sources within VW-Bugatti I hear that, in the top level of the board of VW it is being discussed if the Bugatti project should be continued. The project may be either stopped altogether, or sold. Dr. Bscher is an Investment banker and his function (as it is said) is not to guide Bugatti, he is rather there to look for investors and to sell Bugatti. I heard that not more then 50 examples of the Veyron have really been sold (with downpayment), the others are informal orders. Also, because of Bentley, there will be no second Bugatti model. I invite people from either Bugatti or VW to react, if this is not true. A replica historic car has been stolen from a car park in west London en route to a French exhibition. Engineer Richard Day woke up on Saturday to find the white van in which he was transporting the model 1902 Bugatti had been stolen in Hounslow. The £100,000 project to build the working replica was commissioned for an exhibition in Strasbourg to commemorate its industrial heritage. 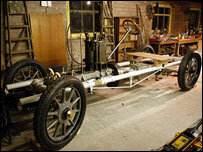 Mr Day, who built the car in Bristol, says the exhibition may be postponed. He had stopped for the night on his way to Strasbourg and parked the van, which was converted to a specialist car transporter, in a car park. "I woke up this morning and my worst nightmare came and hit me in the face," he said. "Somebody presumably was trying to steal a white van and will have discovered what is inside. "It will be difficult for them because, like an Old Master painting, it will not be easy to dispose of something like that." But Mr Day, curator of the Cheltenham-based Bugatti Trust, said he felt devastated because he had been responsible for something that a lot of people had put "so much effort" into. The full-size working model of the 1902 De Dietrich Bugatti Type Five was not fully completed when it was stolen. 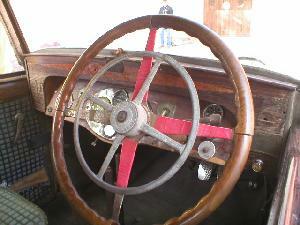 The project to build the metal-framed two-seater car with Victorian wooden wheels was funded by De Dietrich with sponsorship from the local authority. The van it was inside was a Mercedes 312, registration number T485 ANP. Scotland Yard has confirmed it is investigating the theft of a "high-value" replica car stolen from the A4, near Harris Close in Hounslow. At the Geneva motor show, Thomas Bscher, the new Bugatti chief, announced that the launch of the production version of the 1001 HP Bugatti Veyron is postponed to mid-2005 (Last year it was delayed to spring 2004, the earlier date mentioned was mid-2003). This because they want the car to be technically perfect, and according to Bscher, this takes time. Bscher adds that they are not just there to produce a car, but to recreate a marque. This latter may mean that other models are being envisaged at the moment, or that they want to live up to the Bugatti heritage by making a perfect car. Whatever it may be, this further delay may well put prospective buyers off, and if I had put money down on this car, I wouldn´t have liked this development either. Well, we´ll see how things turn out in the future, maybe VW will succeed in turning out a perfect 400kmh+ car, maybe they have to admit that it was just a number too big. In that case a lot of Bugattistes may be quite relieved. All others, including the T15, T37, T49, T51, T55 and Peugeot did not reach their reserve. 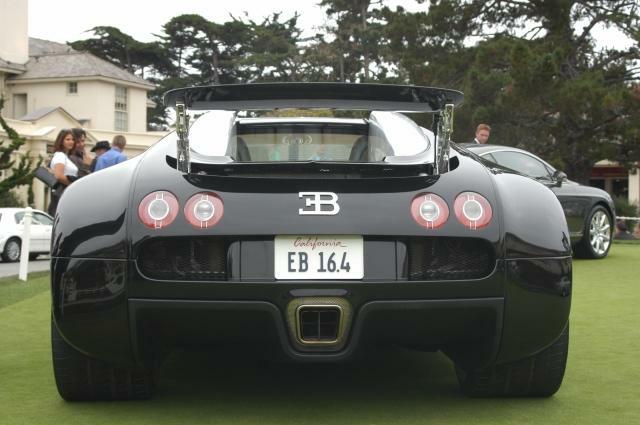 February 17, 2004Future of the EB16.4 Veyron? Recently I heard from a source who actually visited the Bugatti Atelier in Molsheim, that there are still major difficulties in getting this car to the road. 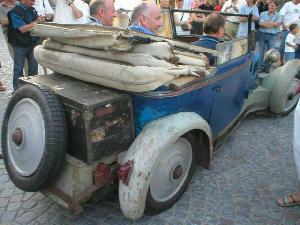 I don´t want to sound pessimistic, but it may be that VW-Bugatti will not be able to deliver the cars as scheduled. One of the problems which is often mentioned is the car´s weight, where 1700kg but even 1900kg has been mentioned. No official figures though, but even at the lower of these two, one puts a tremendous strain especially on the tires. If a F1 car travels at 350kmh, it only has to carry 750 kg´s! In my opinion VW-Bugatti may buy some extra time, but they will lose all credibility, if delivery of the cars does not start before the end of this year! Hopefully we will hear more about this soon! Rembrandt Bugatti of course is well known for his animal sculptures, but it is known that Ettore´s second daughter Lidia (born in 1907 and two years older than Jean), was quite talented. Some sketches and drawings from her hand are known and have been published in the literature. I now present to you however a hitherto unknown sculpture from her hand, made in 1935. 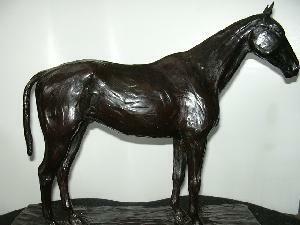 It may well be that the horse was sculpted to the image of her father´s famous horse Brouilard. In the signature shown below, one can see the "L" inside the "B" of Bugatti, the addition (3) and the year 1935. The addition (3) may indicate that there have been either more casts of the same sculpture, or that there have been other sculptures from her hand also, and that this was one of a series. 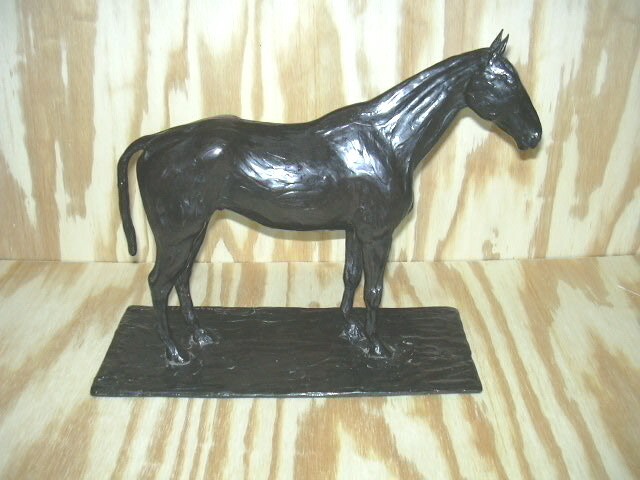 I´m no expert of sculpture, but it seems to me that the horse has been imaged quite well, though not as lively as her uncle Rembrandt would have done. The sculpture can be examined to greater detail by clicking on the pictures. 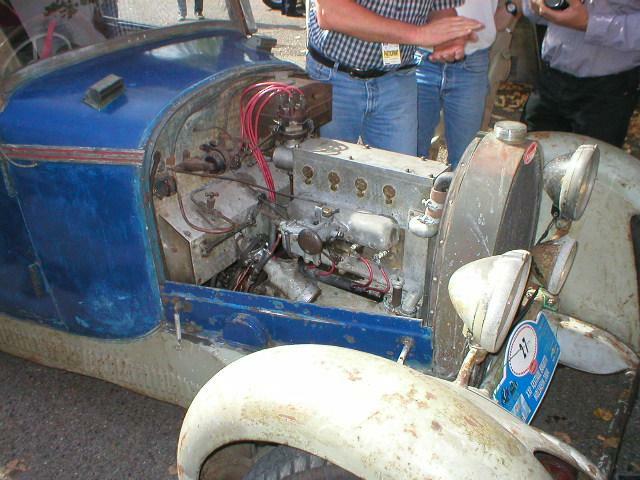 This skimpy device is believed to be a 1923 Bugatti Type 23. 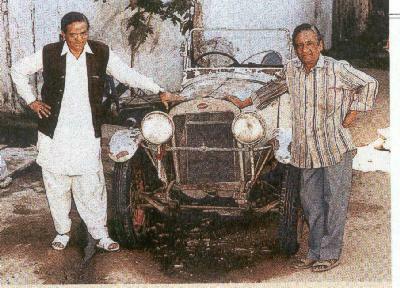 Current owner Soilen Banerjee from Jodhpur was bequeathed the car by his father who in turn received it from his father who had been gifted the car by the Royal family of Indore. 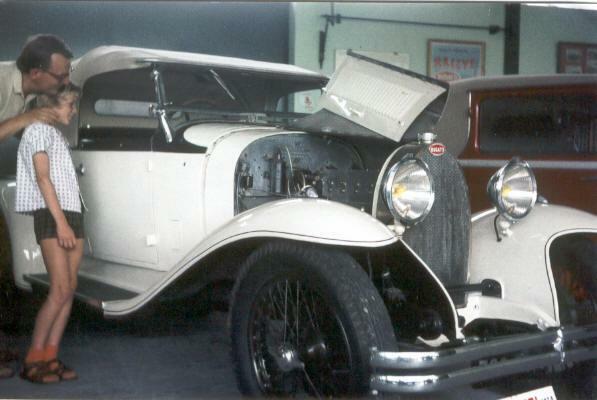 According to Banerjee, an unusual engine swap happened inthe 1930s, the frail original being replaced with a Desoto 'six'. "It was quite a fast car," recalled Banerjee, "and used very little fuel." The Bugatti had no front brakes so must have Does Banerjee's odd-looking T23 have royal connections? been a handful and the radiator was replaced, though the Bugatti badge was carefully riveted to it to retain brand identity. Richard Day, archivist of the Bugatti Trust at Prescott assessed the car: "The car looks like a Bugatti Type 23 with two-seater bodywork by Jarvis. The London agents were Jarrott & Letts which listed this version. The windscreen, bodyline and mudguards look quite similar. The front axle and front of the chassis look original but with several non-standard additions and some omissions such as the curved front crossmember. It would seem that another radiator has been fitted ahead of the correct position and I think the original scuttle must have been cut back to fit the foreign bonnet. Assuming the chassis frame, gearbox, axles, steering and coachwork to the rear of the bonnet are basically original, it looks to be a very nice example. It would be greatly improved if the spurious headlights, radiator, engine and bonnet were removed." Banerjee reported that despite all the many offers he received over the years, the car is not for sale. And never will be because it's a family heirloom. While it waits to be passed down to the next generation, there's no word on when it will be restored -just that it will be. 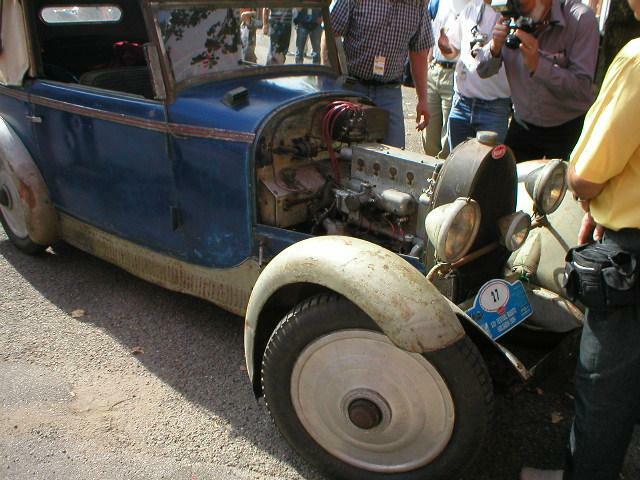 Although much modified, there appear to be many traces of original Bugatti in remarkably good condition.